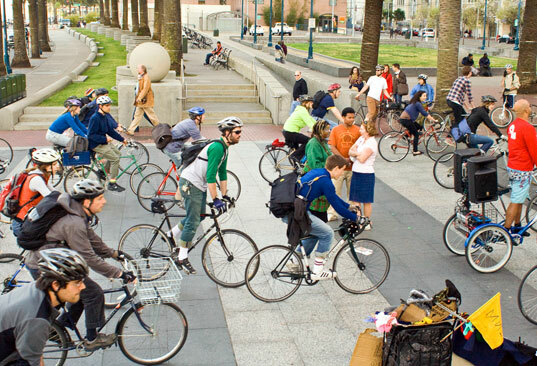 San Francisco Announces Bike Sharing Program to Launch Next Year! Bay Area bike-lovers, rejoice — a $7.9 million bike-sharing pilot project will roll out next year in San Francisco, San Jose, Palo Alto, Mountain View and Redwood City! If all goes well, one thousand bikes will be available for participants who pay a membership fee in the program. 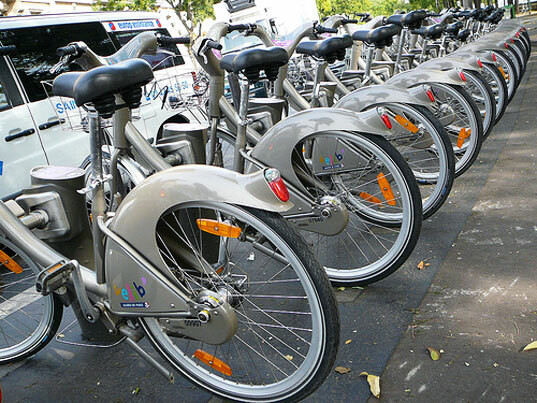 The program will allow registered members to unlock bikes electronically with a “smart card” or credit card for a set amount of time, with fees determined by how long the bikes are taken out (much like Zipcar). Trips for half an hour or less would be free. And in order to deter would-be thieves, each bike will be outfitted with GPS units and RFID identification tags. The first bikes will roll out within 12 to 18 months, with the full program ready to go in two years. Stay tuned. They probably want to try it out in SF first. This sort of thing isn't as simple as it seems as the management of such a system is pretty heavy. Maintenance, bike redistribution, parking availability are all things that hinder the effectiveness. The good news is that this seems to be the same company (JC Deceaux) who has implemented and manages these same systems in Brussels, Paris, Lyon, etc. where that have been in place for at least 6-7 years. What about Oakland and Berkeley? Are there no plans for these cities? Bay Area bike-lovers, rejoice -- a $7.9 million bike-sharing pilot project will roll out next year in San Francisco, San Jose, Palo Alto, Mountain View and Redwood City! If all goes well, one thousand bikes will be available for participants who pay a membership fee in the program.